Feeling overwhelmed? 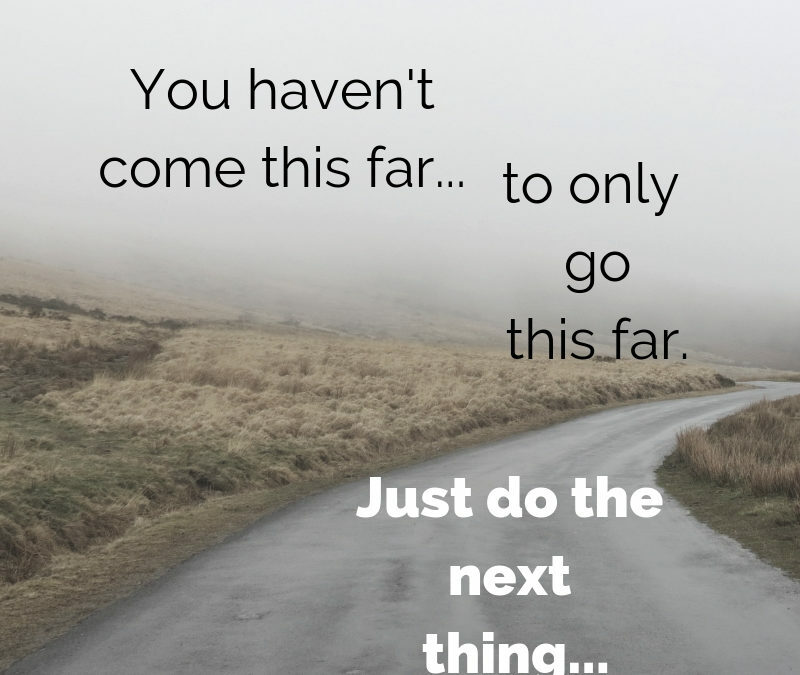 Just do the next thing. 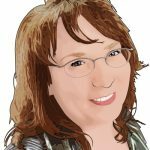 Concerned over your future – of things not working out? You don’t need to know it all. God knows. He will direct your path – if you ask Him. So, if you’ve asked God to be with you today, to direct all your ways, then take heart. 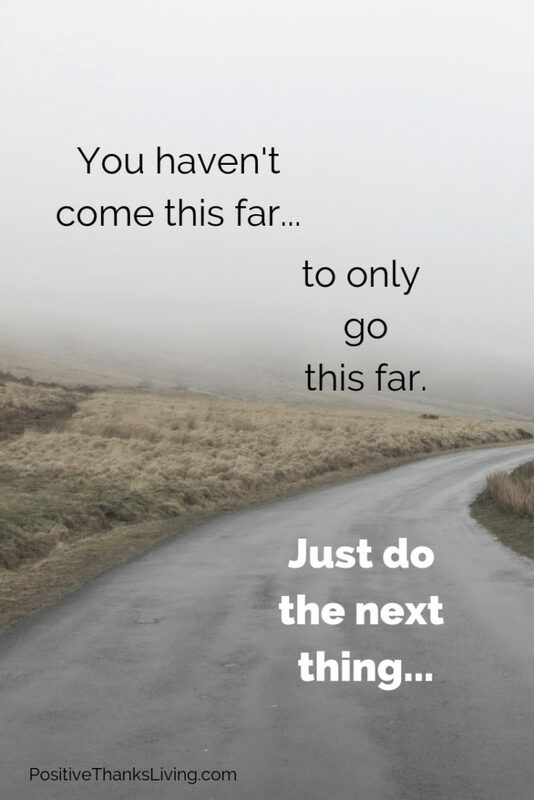 Just do the next thing. “Tucked in the back of the Book of Mark, following the story of the Crucifixion, we read this lovely little story. Can’t you imagine the disciples and Mary and Martha and the other bewildered women, sitting in absolute dejection and perplexity when their Lord and Master and King had just died? They couldn’t think of one single thing to do. Here came this Godly man, who looked forward to the kingdom of God, who bravely went in and asked for the body of Jesus. He could think of one thing to do. He did the next thing. Elizabeth Elliot is the author of more than 20 books. Keep that in mind when you’re dealing with disappointment, worry or unease over the timing or waiting. We all have dreams. Sometimes those dreams are seeds of what God has put into our hearts. 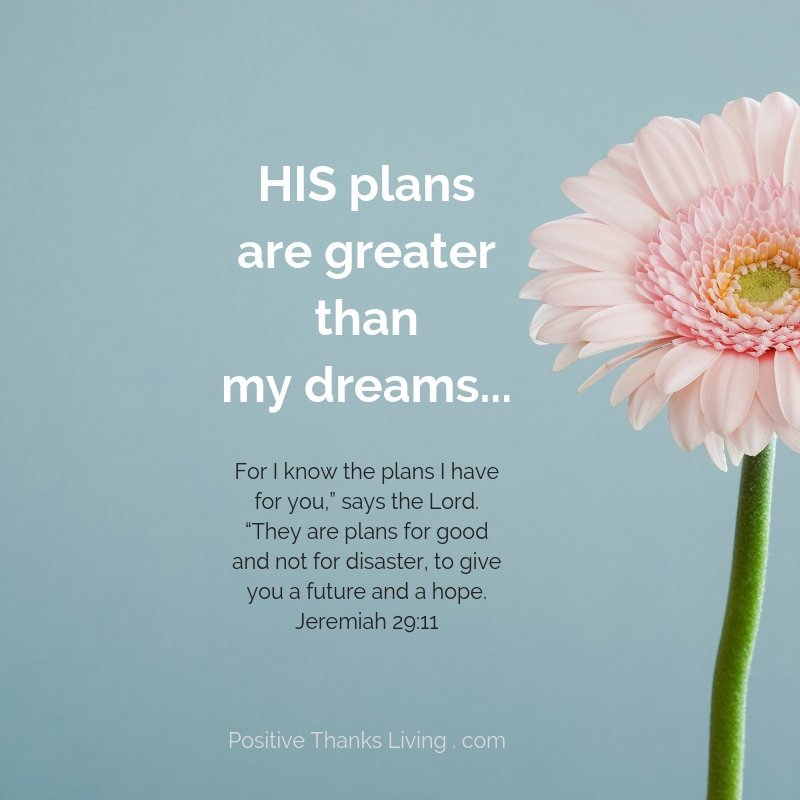 However, HIS PLANS are always greater than what we, as flawed humans, can dream or imagine. Ask the One who loves you more than any other to trust in HIS plan for you. How do you know it’s from God? It’ll be filled with hope. 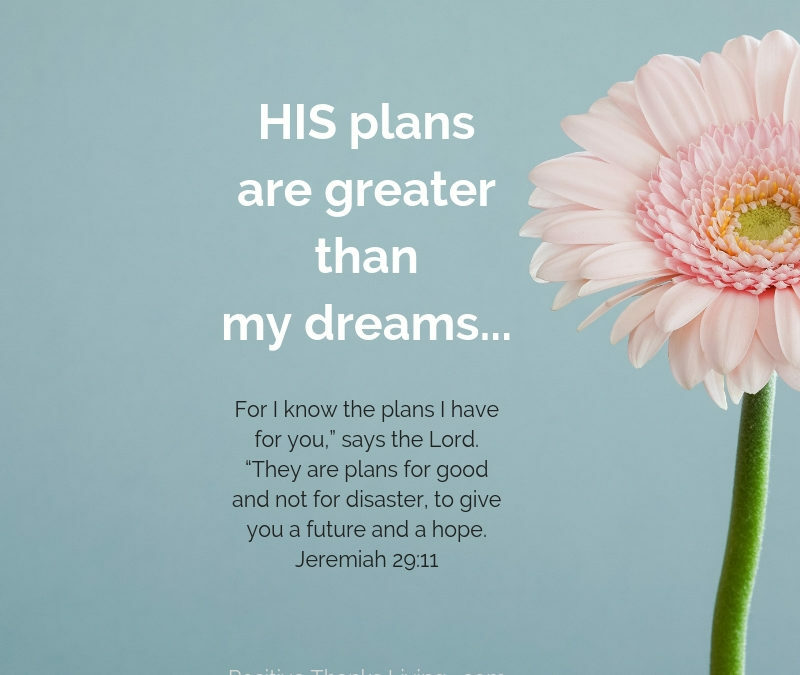 His PLANS are greater than my dreams. Be patient. And while you’re waiting, be the reason someone believes in the goodness of people! Prayer provides strength. And isn’t strength what we all really need as we face challenges and questions? As good as venting can feel, it doesn’t provide anything long term. 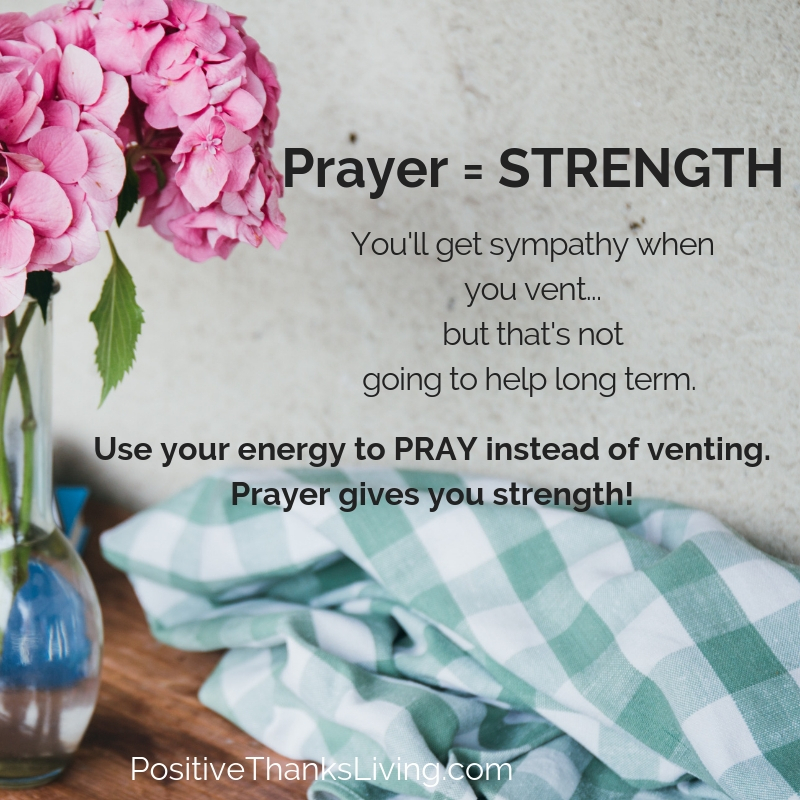 For those who have uncovered the joy of praying, any and every challenge (your own or others) has the potential for building long-term strength. Because unlike a “vent”, answered prayer unfolds into a long, long, stretch of experience that builds confidence. 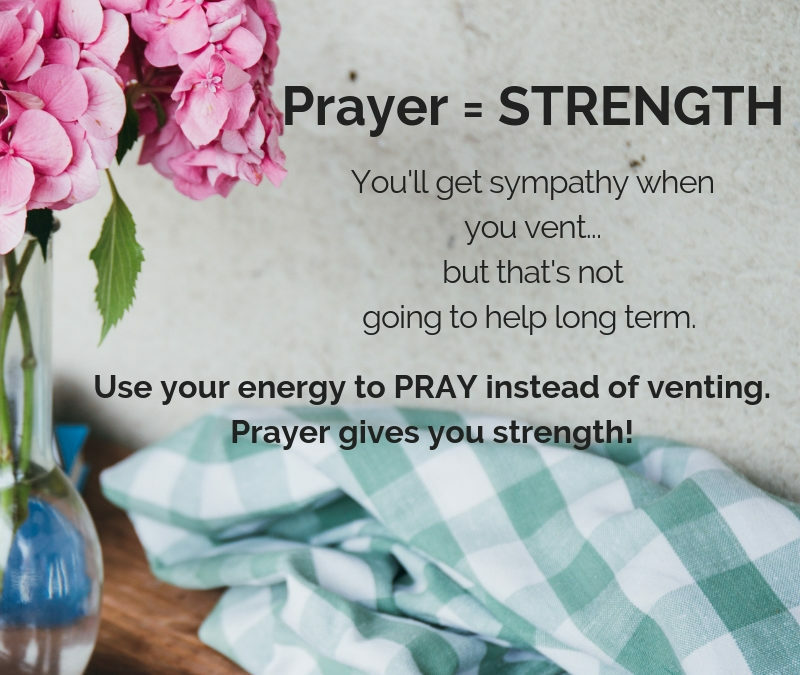 Prayer provides strength. Your efforts in prayer don’t just disappear. 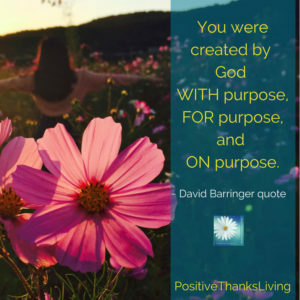 Those efforts remain as an experience of tapping into the power that originates and flows from the Creator, the One who loves you. Is prayer easy? Sometimes. Not always. Prayer can be work. However, the effort to pray for something for a very long time, regardless, is sweeter and more satisfying than anything else. Put your energy into prayer. Want more encouragement to pray? Read this. It’s not as though we won’t experience pain just because we’re optimistic people… every person on this planet will suffer in some way, at some time. This hurt that could be physical, mental or spiritual will afflict all of us. It’s not going to be possible to be cheery all the time. How can an optimistic person deal with these afflictions that cause an ache? You can treat pain with the love of God. So, to paraphrase C.S. 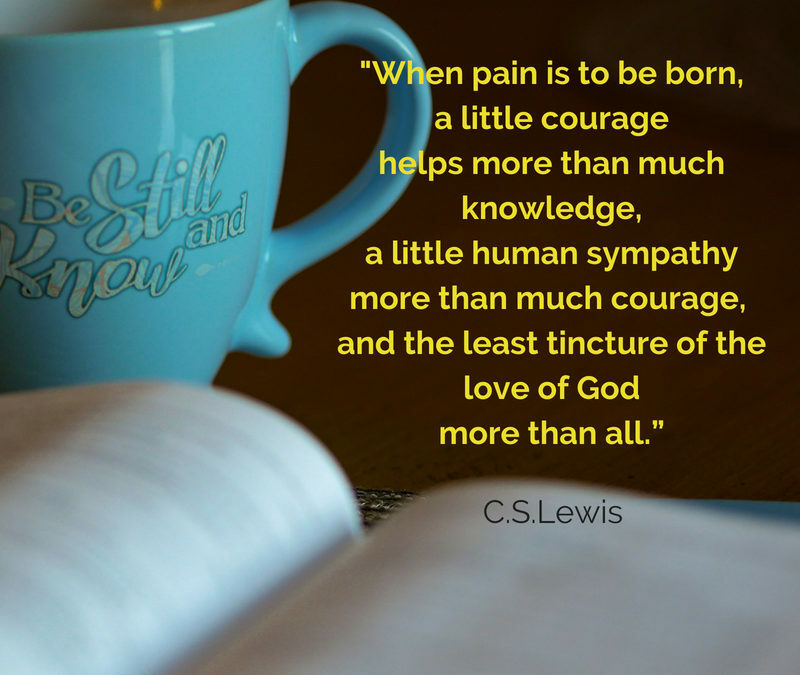 Lewis — just a little bit of the Love of God when dealing with pain is more effective than anything else. 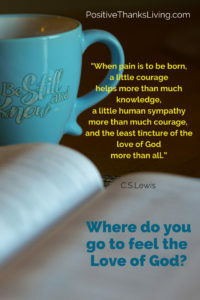 Where do you go to feel the Love of God? and when I honestly force myself to list all the blessings God has provided for me. Being thankful helps me feel God’s Love. How about you – where do you feel the Love of God? Finally, brothers and sisters, rejoice! Want more about love? Read this post or Read this post. 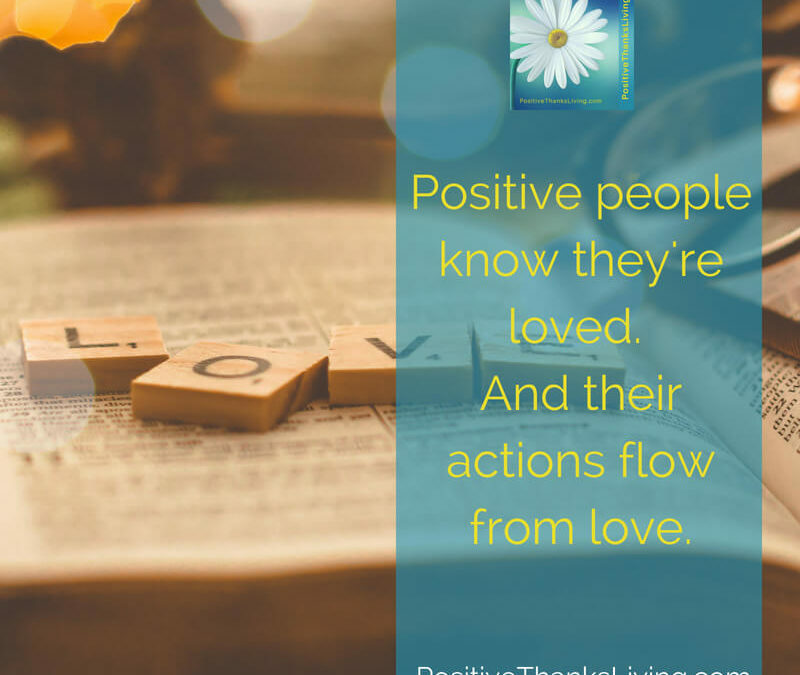 When positive people take action it flows from love. 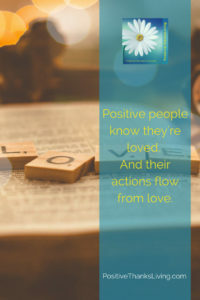 Positive People know they’re loved. And their actions flow from love. There’s an amazing power in love – both accepting love and giving it. Positive people are able to love others and receive love. 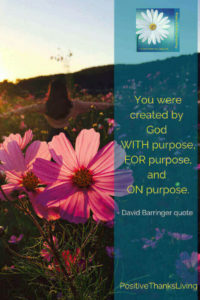 They know that they’re created by God, who loves them and has put them here on this earth, at this time, for His purpose. Their belief in this truth of God’s love helps others’ outlook by demonstrating, despite circumstances, mistakes and imperfection, love is possible. This is the 8th of eight ways positive people improve others’ outlook. It concludes the series! 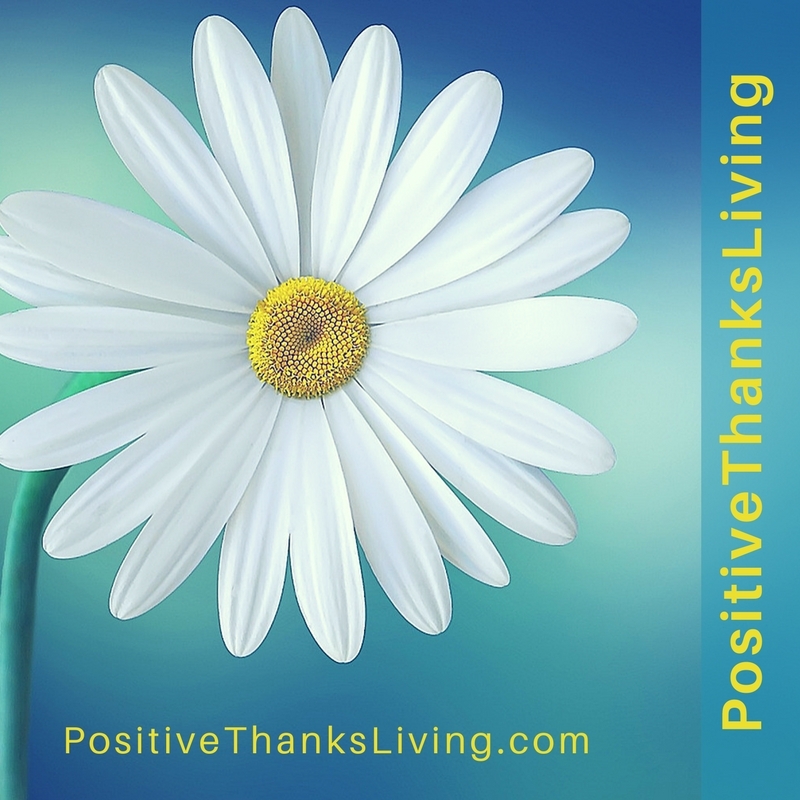 Here are links to the 1st, 2nd, 3rd, 4th, 5th, 6th, and 7th ways positive people improve others’ outlook on life. Positive People acknowledge the truth and manage the overflow. 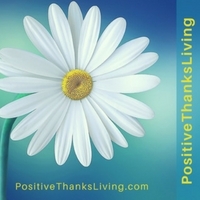 Positive People look for things for which to be thankful. Positive People bring out the best in others. Positive People build a tribe of other positive people. Positive People go out of their way. Positive People are aware of boundaries and also put them in place. In his post, he’s talking about toxic people and then contrasts them with positive people. We are to surround ourselves with other positive people. I imagine there are at least 8 ways positive people help improve other people’s outlook on life. They are probably more than eight… maybe you can add some in the comments. We won’t all be good at all eight! There’s every chance we won’t be experienced or proficient at all eight – even if we are pursuing positivity. No worries. Optimists always know there’s room for improvement. We were also chosen to belong to him. God decided to choose us long ago in keeping with his plan. 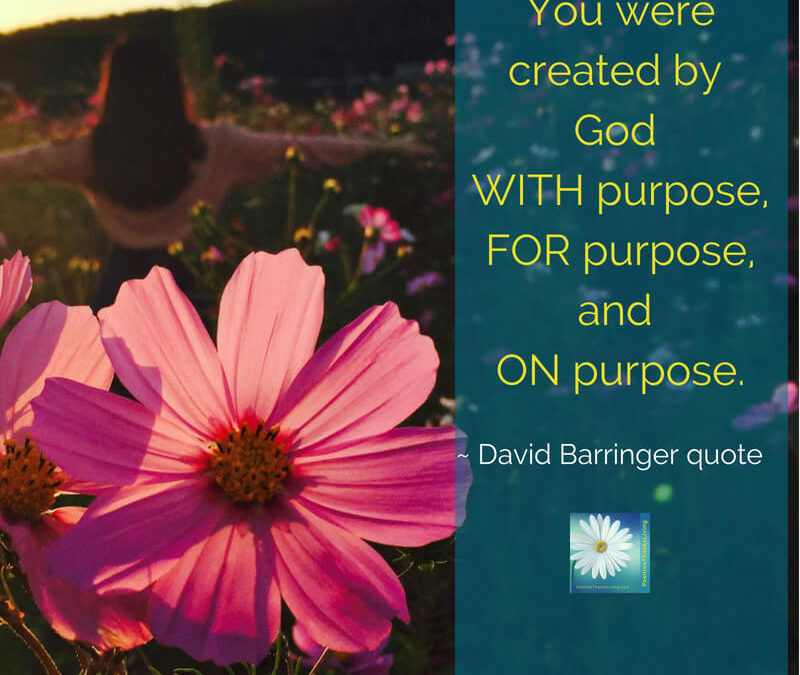 He works out everything to fit his plan and purpose.